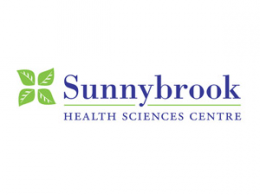 Sunnybrook's mission is to care for our patients and their families when it matters most. Our vision is to invent the future of health care. From our beginnings as a hospital for Canadian veterans, Sunnybrook has flourished into a fully affiliated teaching hospital of the University of Toronto, evolving to meet the needs of our growing community. Sunnybrook's groundbreaking research changes the way patients are treated around the world. Our 209 scientists and clinician-scientists conduct more than $100 million of breakthrough research each year. Tomorrow, we will discover ways to treat the untreatable.